Tipping point: Has your small-cap fund beaten its category average? The mid- and small-cap funds have started recovering in recent weeks, but fund managers have been taking a hard look at their portfolios. The move follows recent cases of corporate governance lapses in firms such as Prabhat Dairy and Ashapura Intimates, which led to heavy erosion in investor wealth. Fund managers say they have raised their guard when it comes to investing in small firms or those where there is little research coverage. “Cases related to Prabhat Dairy and Ashapura Intimates have called for more caution. 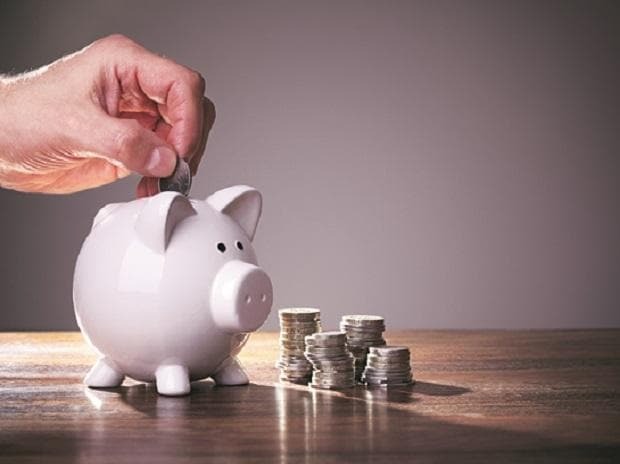 While bloated numbers such as capex and receivables, and high instances of related-party transactions could be some of the red flags, it is important to run checks with all stakeholders, especially in mid- and small-caps,” said a fund manager who had invested in Prabhat Dairy. "While regulations have become tighter, promoters are still able to find ways around it. It is important not to get carried away with management commentary and closely look at numbers such as operating cash flows, which can give a more accurate picture," said another fund manager. Recently, Prabhat Dairy managed to pass its proposal to sell its dairy business despite almost 100 per cent opposition from institutional shareholders. The proposal was backed by non-institutional shareholders, with 98 per cent of votes in favour. Proxy advisory firm Shareholders Empowerment Services recommended investors to vote against the resolution, given the company didn’t justify how it will survive or grow after “almost nothing remains in the company”. Besides the core business going away, investors are concerned on how the sale proceeds will be distributed among the shareholders. Even though 98 per cent of Prabhat Dairy’s revenues came from the dairy business, the company directly held only 29 per cent stake in the company being sold. The firm didn’t respond to an e-mail query. Ashapura Intimates is another case in point. The company’s chairman and managing director has gone missing after a sharp fall in its stock price and following questions on the company’s ability to repay its debt. DSP Mutual Fund (MF) has been at the receiving end of both these cases, which occurred within a short gap of each other. “In the case of Ashapura Intimates, we recognise that we should have focused more on deteriorating working capital metrics and not relied so heavily on the guidance provided by the promoter,” DSP MF said in a recent note. 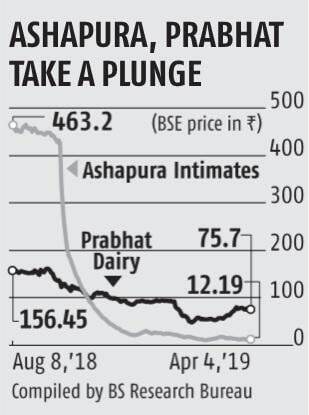 The share price of Ashapura Intimates is trading at 98 per cent below its 52-week high, while shares of Prabhat Dairy are trading at 60 per cent below their 52-week high. DSP MF pointed out that it quickly exits a stock position when corporate governance issues crop up to “cut its losses”. According to bulk deal data, DSP Small and Mid Cap Fund sold Rs 3.4 crore worth of shares of Ashapura Intimates in December. Among other fund houses, Sundaram MF had some exposure (between 0.2 per cent and 0.7 per cent of assets) to Prabhat Dairy, spread across Sundaram Select Micro Cap Series XIV and XV series and Long Term Micro Cap Tax Advantage IV series, as of February 28. The fund house didn’t respond to queries.